So, the dreaded day is nearly upon us. Our annual trip to Anfield is approaching as we look to break our streak of being winless for over fifteen years. It is a very tough task, but it is not completely impossible. After facing Klopp’s men what felt like countless times last season, this top of the table clash will prove to be an early indicator of how the Premier League table may finish. 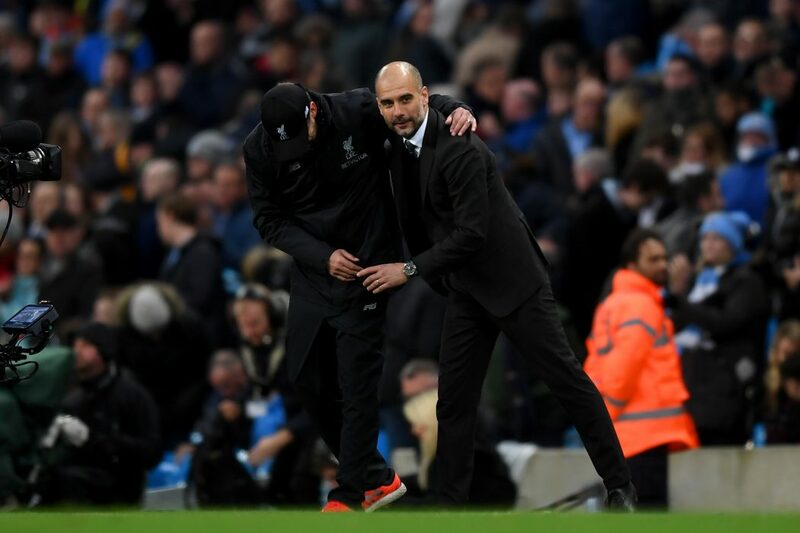 It must be said that the teams are both entering the game in mixed form, as City scraped a win against Hoffenheim, while Liverpool suffered a late defeat to Napoli where they failed to register a single shot on target. With both teams looking to prove their strength in a game that could potentially have title challenging ramifications – how will it go? Whether people like it or not, Liverpool vs. Man City has become a trademark fixture that neutrals dream of. Two beautifully attacking teams, the Champions vs. The Kryptonite of our side last season. No matter what, these two teams have forged a rivalry in the league. Tomorrow, City will be looking for revenge and to keep ourselves above Liverpool in a key game early in the season. This certainly won’t be one to decide the title, but it could be a big confidence boost and a mental barrier for the Blues to break, should we overcome our struggles in Liverpool. Whichever way you look at it, this will be a feisty affair with some fast paced football. Most notably, Kevin De Bruyne returned to training earlier this week after a serious ligament injury. While this is fantastic news, we shouldn’t expect him to feature this weekend as Pep has stated that we need Kevin fit for the season, not to rush him back for one game. However, in a surprise announcement at the press conference, Pep declared that KDB is training normally, meaning he may be in better shape than we think. Benjamin Mendy’s injury, or injuries, have been the subject of confusion as they have been labelled as problems with different parts of his body. While it is now being described as a foot injury, Pep stated in his conference on Friday that Mendy has returned to training, suggesting a potential return to the lineup for the Frenchman. Should he be cleared as fit to start, he would be a great boost to the team in both attack and defence on the left side. The other notable injury is to Gundogan, who suffered with a leg problem in the away win at Hoffenheim on Tuesday. Finally, Fabian Delph is unavailable, adding to the fact that we need Mendy back for the game. For Liverpool, Divock Origi who has said to have recovered from an ankle injury. Naby Keita’s situation is being monitored, though he has been cleared of any problem, with Klopp stating in Friday’s press conference that he could still yet be available for the game. Since we are the reigning champions, it puts a target on our head for the top teams to prove their mettle. For this reason, I expect Liverpool to be fully up for the game, from fans to players. After an incident last year that saw public disorder by the Liverpool fans throwing objects at the City bus, this game clearly means a lot to them personally, rather than simply being a big game in itself. That being said, I completely expect their fans to be in full force and we must combat their atmosphere and quieten them early by calming the game. After suffering a disappointing loss where they failed to have a single shot on target in a full 90 minutes, we can expect a team that is raring to bounce back. After facing Liverpool so frequently last year, their players will be looking forward to this game as much as ours, and it could likely become a physical affair. Liverpool have enjoyed a fantastic start to their campaign, though they have suffered two defeats in the last fortnight. However, every City fan knows that form doesn’t matter when it comes to this fixture. Key players to look out for are Virgil van Dijk, who is the rock in their defence that keeps them working. With strength and height, he is a player that can defend and cause a threat during set pieces. Further up the field, we must look out for Naby Keita, who will look to help stabilise their midfield and could be the engine that drives them towards dangerous counter attacks. While their team are struggling for goals of late, Firmino must be watched as he boasts a strong conversion rate and can link up well with his teammates, causing a headache for our defence. With both teams fully up for this fixture, I believe that the score will depend greatly on the impacts of players returning from injuries for both sides. I expect a fiery game full of passion could very well get heated and feature a sending off. With both sides suffering from patchy form of late across all competitions, I expect both teams to bounce back and be playing at their peak levels. City showed their grit at Hoffenheim to secure a win, and I expect to see much of the same in a game that is very difficult to win. I don’t expect us to be breaking our winless run at Anfield this weekend, but I will go for a 2-2 draw, with Aguero scoring his first Anfield goals and netting both for the Blues.